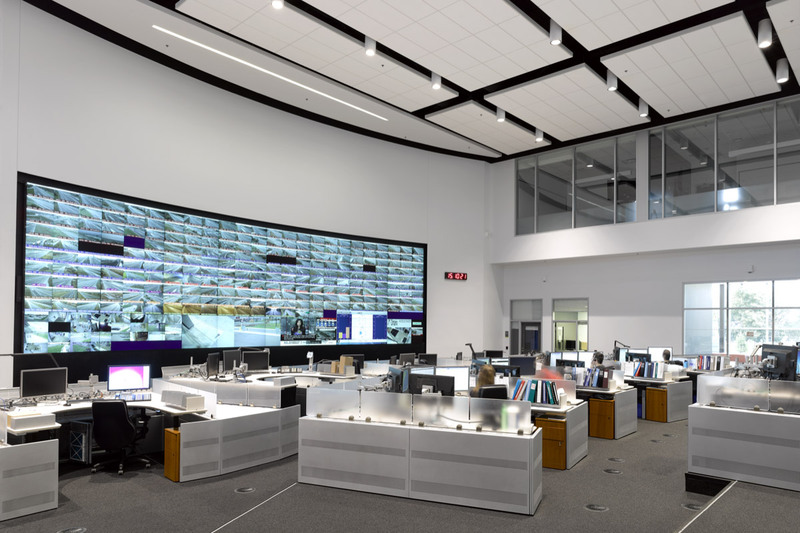 The Traffic Operations Centre, recently completed on the new COMPASS campus in Toronto, is carefully designed to improve the efficiency for traffic management services in Toronto and surrounding municipalities. mcCallumSather and Kasian teamed on the project. Our primary objective was to shape an environment that supported and enhanced its staff’s ability to deliver these essential services. We consulted with Emergency Response, Traffic Control and the Regional Action Group at the outset of the project and the result is a unique, tailored facility programme. The reality is that its staff is under a great deal of pressure. Our primary objective was to create an environment where they could thrive. The building is divided into zones, organized by employee function. 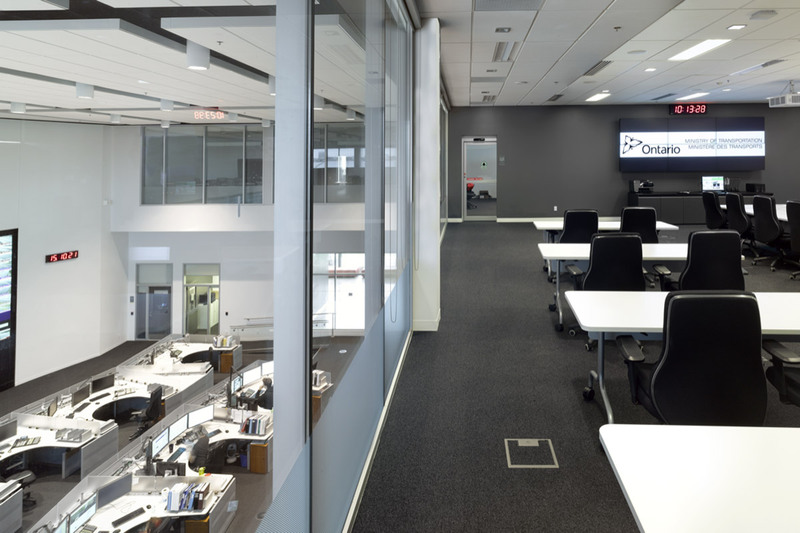 It includes a modular, ﬂexible layout for the workshop, labs and warehouse; an open plan with transparent ofﬁces for administration; the latest in security and automated design; and state of the art AV for easy communication and collaboration. High security is carefully balanced with an open and welcoming space. 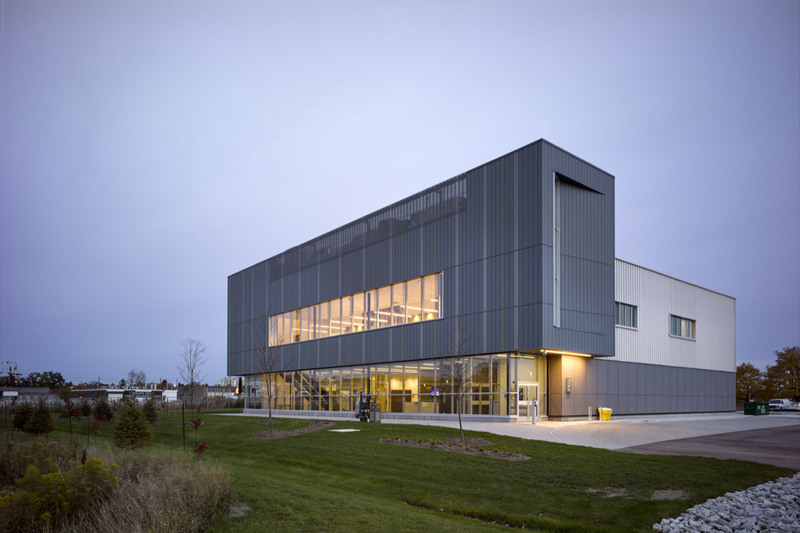 mcCallumSather was primarily involved in the design of its innovative building enclosure and exterior. The high performing building envelop was critical our client’s sustainability objectives. 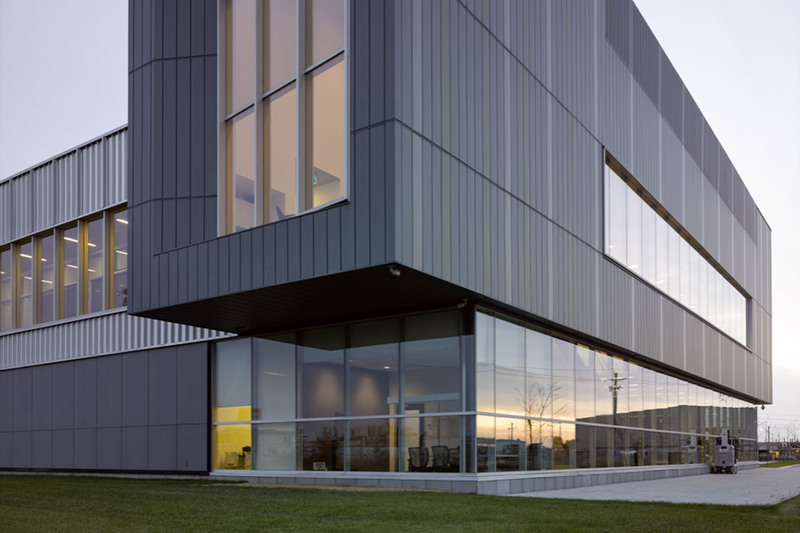 The barrier-free campus features extensive canopied entrance vestibules for rain and snow protection; passive solar shading at the south facade and an accessible green roof. We followed Toronto Green Standards, and took special care to make the campus was as bird-friendly as possible. This includes lowered exterior lighting levels and a strategy to reduce nighttime ‘light traps’. To reduce the reflection and optics of transparency, we treated the exterior glazing with fritted glass. It maximizes access to natural light and screens its occupants from direct exterior view. Additionally, we chose a palette of natural materials that provided above-normal acoustics values. Our teams used an integrated design process. It is an inclusive and participatory design methodology, based on collaboration. It helped us meet stakeholders’ diverse requirements, from the choice of materials to how the HVAC system functioned to best suit the 24-7 nature of the facility’s operations. 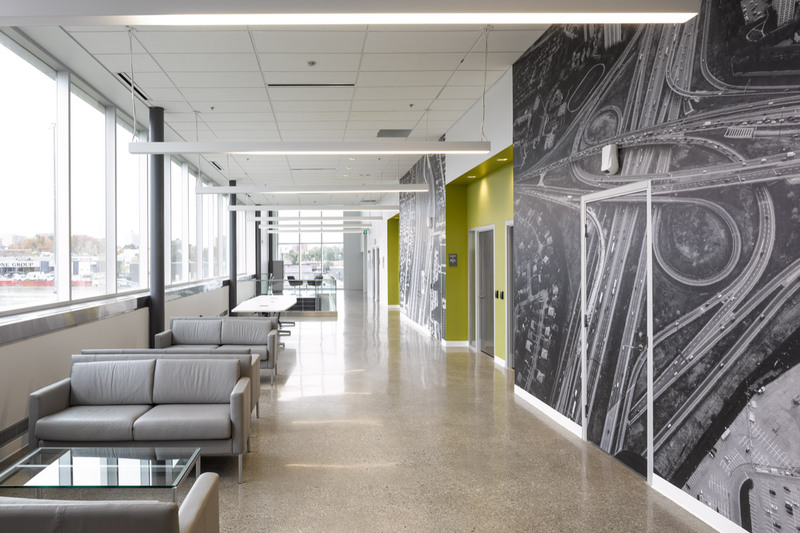 Designed to meet LEED Silver requirements incorporating many site and building sustainable design features, reducing life cycle costs and providing an enhanced indoor environment.